The parents and the majority of the Gen 8's heiress siblings (except for the twin if she has one) will end up being in a "cursed" land and I need households to populate the world (note: couples will be broken up and some of the families will have children separated from them). The heiress and her twin will be cursed in a different way but stay in the main save. Just figure out a backstory for why Anneorines or Enrichment (my 2 fake religions Anneorines=Good, Enrichment=Evil) would want to curse/separate your family. 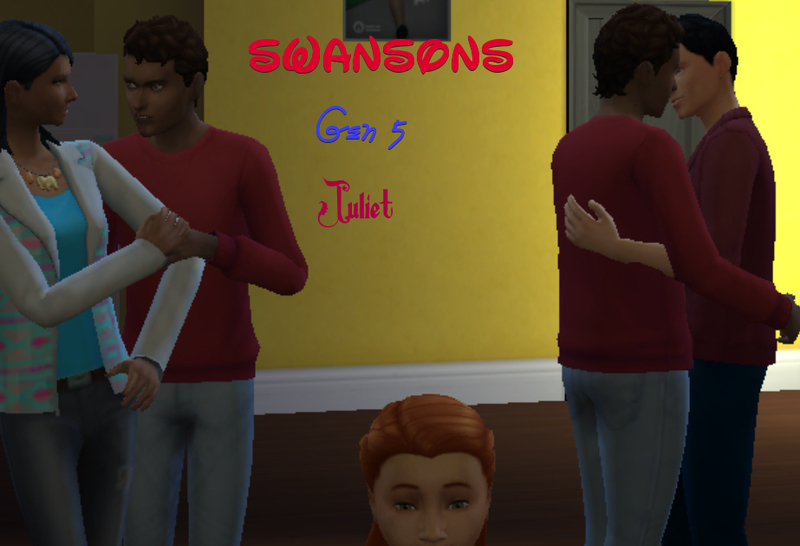 You can create some pretend background which connects them to the Swansons. I want to! 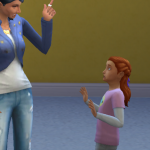 I just need haven't gotten too far into your story to feel comfortable creating a family with backstory since I'm only on Generation 1 right now. I always have a family hanging around in My Library, though. If you want it, I can link it to you. Fly, Eagles, fly on the road to victory! SB52 Champions! I will be making a household for this. Background: Vigo And Bianca Torstensen are parents trying to do their best raising their teenage son Storm. Bianca dreams of being a music star while Vigo is a police officer. Storm is a young genius that likes to talk to himself (perhaps a bit too much). Many say that Storm didn't handle the news of how he was born well and is insa... I mean erratic as a result of this. Fun fact, Vigo & Bianca are transgender and Vigo was pregnant with Storm. Though Bianca & Vigo aren't religious, their families are each of different religions (Vigo's family is Anneorines, Bianca's family is Enrichment). That being said Bianca is estranged from her family mainly for the reason in the spoiler where as Vigo is still on good terms with his family. Somewhere in Bianca's family tree history there is a father's brother's nephew's cousin's former roomate that was one of the Swanson's ancestors. @Chrinnie still planning on creating a household for me? Meet Lisa and Ryan Branson and their teenage son Chase. Devout Anneorines to the core, they are true believers and the kind of true believer who could, in theory, become a dangerous weapon against the Enrichment. It would be the kind of family that, should the Enrichment get ahold of them, they would not only want to divide, but conquer. Turn them to the "dark side." Show the world that no matter how true your beliefs, they can be changed under the right (or evil) circumstances. Several generations ago, the Branson's forebears owned a newsstand from which the Swanson's bought their newspapers that was owned by a third cousin twice removed to the family. If that works for you, I'm all for it. They are your sims now to do with (read: torture) as you see fit. Hehehe. I just read that. I love it! @Chrinnie you mean the chapter or my comment? I am. I will be making one soon. 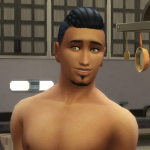 Of course, I look forward to seeing how my sims look when cursed. Background: Pator Joseph White is at the top of his religion's hierarchy. He sees himself as the shining white beacon of morality and purity in a world of darkness & sin. His goals are to spread his religious teachings as a way to make money off the devoted (if the lord wants Pastor Joseph to have a gigantic white castle by the sea than get him a gigantic white castle by the sea). Since Pastor Joseph and his wife are getting up there in the years, he is teaching his son Joshua the ropes to be the next head of their religion. While Joshua does agree with continuing some of his father's teachings, Joshua has some additional new ideas to add to this as well (namely convert all to the religion and cleanse the non-believers from the world). That doesn't mean that Tiffany & Jonah get to slack off though as they have roles in the expansion of their religion (mainly conversion of those to the flock & propaganda for their religion which they will be learning from Mary & Joseph). Being that the White family are higher ups of the Enrichment faith, their family has had many times of interacting with the Swansons (as judge, jury, and executioner of those they deem heretics to some even having taboo romantic relations). sounds like those folks' ancestors could be the ones who paid for the false guilty verdict of America Swanson. I can definitely see it. The White family do make money off of scamming those devoted to their faith. With that money they could be using it to influence their power in corrupt ways. I guess whoever's going to curse the Swansons (more then they're already cursed) doesn't give a (blank) about whose is going to end up whereever with the Jane and Henry (the parents of Gen 8)..
You guys are ok with me changing their hair styles and names (to fit into the cursed world theme) and splitting up couples?